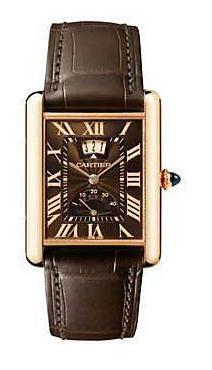 The Tank Louis Cartier W1560002 is the perfect timepiece for a man who appreciates a sense of history in his style. This is a classic and attractive watch and is a relic of an important time in history. 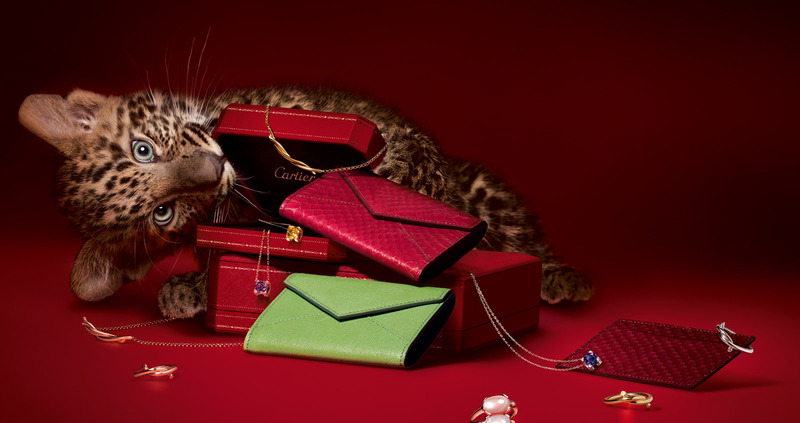 ‘House of Cartier’ was originally a jewelry boutique founded in 1847 by Louis-Francois Cartier. The modern watches crafted by Cartier are still based on the designs and fundamentals developed by Louis Cartier. The Tank Cartier was originally introduced in 1917 and the design of the original was influenced by the Allied tank commanders who defended France during World War I. Therefore, the Tank Louis Cartier is a timepiece of historical significance. This particular model of the Tank Louis Cartier is highly aesthetically pleasing to the eye with its brown leather band and shiny brown dial accentuating the 18 karat rose gold case and bezel. The case is rectangular with nice smooth rounded edges and the leather band connects seamlessly to the case. The golden roman numerals on the dial are also laid out in an attractive rectangular pattern giving the watch a serious and professional look yet the brown color of the dial and matching leather band along with the golden case provide this watch with a very warm and inviting color tone, making the watch look much less stern than it might otherwise. Cartier uses, of course only exceptional materials and that can be guaranteed in the Tank Louis. It has a scratch-resistant sapphire crystal dial window, water resistance to 30 meters and has mechanical movement. This is a classic among classics in the designer watch world, however, that does come at a price with a US retail value of $20,300. Owning a piece of history does not come cheap yet history combined with this level of style might make it worth it. If you have a man in your life who likes to spend his free time watching the history channel or reading World War I novels then you might just be on to something in considering this watch as a gift. The French tank commanders during World War I must have known what they were doing to both have won some of the most important battles of the 20th century and to have a hand in designing a watch which has proven with withstand the test of time. The Tank Louis Cartier is a watch that can be worn with both style and pride.